You are browsing the archive for tornadoes. 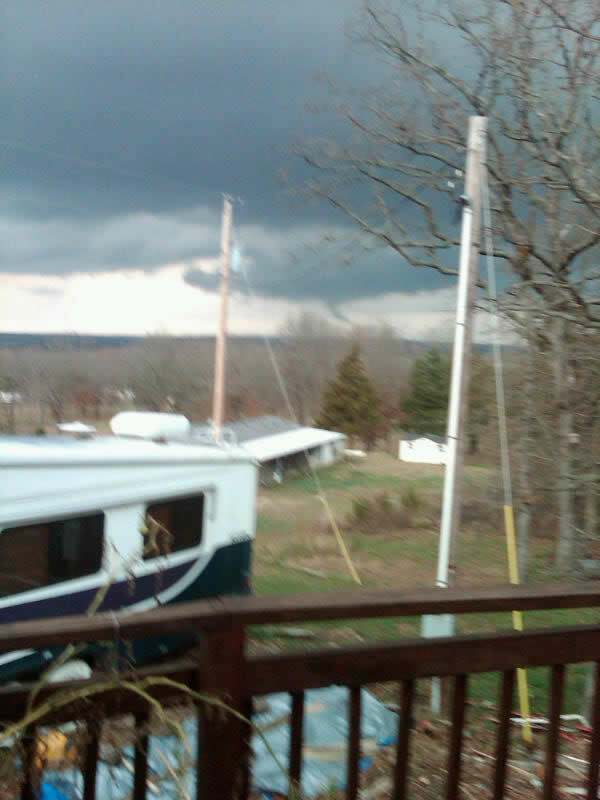 A pre-Thanksgiving outbreak of supercell thunderstorms occurred on Wednesday the 24th in the Ozarks. Some produced tornadoes. It would be a challenge for me to count them from memory! I know that several passed over the same corridor affecting portions of Vernon, Cedar, St Clair, Hickory, Polk, Dallas and Camden counties. This was the earlier portion of the outbreak from mid afternoon through early evening. Damage was reported near Wheatland and Cross Timbers in Hickory County from this early round. This was confirmed as two tornadoes today by the National Weather Service. Later in the evening, the supercells started shifting more to the south. One cell starting ramping up significantly as it crossed into northwestern Greene county. This storm continued east-northeast into southern and southeastern Polk. This storm was responsible for multiple reports of damage near Brighton on the Greene/Polk county line. This too was confirmed as an EF1 tornado by the National Weather Service today. Looking North from Hermitage. Photo by Ron Gamble. A supercell started showing signs of rotation in Jasper and Newton county shortly before 8 pm. 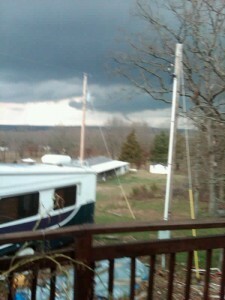 This storm remained tornado-warned as it traveled into Lawrence county. This was of course a concern for Greene county as it approached. As it crossed the county and city of Springfield, multiple reports of hail from quarter to as high as ping-pong ball sized were reported. There was also some minor wind damage. The tornado warning picked up again as it was just leaving Greene and continued through Webster and Wright counties! Dent county went tornado-warned for a time late in the evening followed by the final warning in Barry county just before 11 pm and into the 11 o’clock hour. 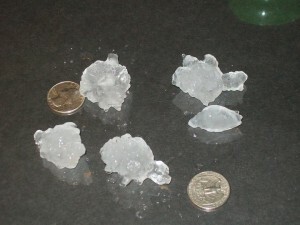 The National Weather Service has a full report on this storm.